If you're getting ready to have your baby and wondered what birth and post-partum doulas can do for you and your family, our friends Liza Ozkay and Ozzie Ozkay-Villa, from Doulas of Marin, explain all in this guest article. The word "doula" (pronounced "doo-la") refers to someone who offers non-medical information, emotional and physical support to a woman and her partner before, during and after childbirth. This service makes available the nurturing care and support that traditional obstetrical care isn't always able to provide. Doulas are trained and experienced in childbirth and breastfeeding. She works on the basis of keeping birth normal and empowering. She does not make decisions for those she supports; she assists them through the decision making process and provides balanced information so the couple can make their own choices. A postpartum doula provides care for the family after the baby is born. The ways in which the woman, baby, partner and siblings make the transition to a new family unit have a long-term impact on their physical and emotional health. Fills a large gap in our culture, and is able to facilitate a smooth and rewarding transition. Focuses on the needs of the new mother as well as the newborn. She is there to nurture the mother by offering practical assistance as well as emotional support, enabling her to recover faster and feel more confident in meeting the challenges a new baby brings. Is a mentor who answers your questions and provides much needed assurance in a gentle, non-judgemental way, allowing you to develop your own unique parenting style. Liza Ozkay received her Birth and Postpartum training through Doula Training International. She was inspired to become a doula from her own birth experience; with the constant encouragement, strength, and care of her own doula, she felt empowered. It was a thrilling and exhilarating experience! She would love to provide that same service of love, strength and motivation to you and your partner before, during and after your birth. It is her desire to support a woman and her partner as they search for the necessary tools to obtain a well supported birth and postpartum period. She is passionate about offering non-judgmental and individualized support of a family’s choices surrounding the environment, intentions, and medical care. She is honored to be a part of such an amazing and intimate experience and she can’t wait to be a part of yours. She lives in Marin County with her husband and three children. You can often find her hiking the trails, hanging out with her mama tribe, or adventuring around the city with her family. Ozzie Ozkay-Villa received her doula certification from Doula Trainings International in 2011. She was inspired by the personalized care she received from her midwife before, during, and after the home birth of her first child. She is passionate about supporting women through all phases of life and believes community is a vital necessity in the transition into parenthood. She founded Marin Alternative Mothers Group as a way to connect mothers as they embark on the unpredictable journey of a redesigned lifestyle. Soon after, she sat on the board of advisors to Marin’s first freestanding birth center. In 2017, Ozzie launched her company Oov Lifestyle, a digital publication for those interested in learning more about the benefits of medical cannabis. She considers herself a community-builder and loves bringing people and brands together over a common interest. Her husband is Chef Frank Villa of the popular San Anselmo based restaurant, Marinitas. 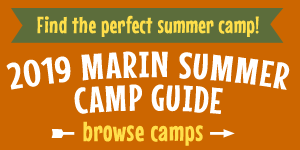 Together, they are active community members and enjoy raising their family in beautiful Marin County.